Gloria Wekker is sociaal en cultureel antropoloog (UvA 1981), haar specialisaties liggen op het gebied van Gender Studies, Sexuality Studies, African American Studies, en Caribbean Studies. Zij bezette sinds 2001 de Aletta (IIAV)-leerstoel Gender en Ethniciteit aan de faculteit Geesteswetenschappen, Universiteit Utrecht. Verder was zij coördinator van de eenjarige Master “Comparative Women’s Studies in Culture and Politics” aldaar. In 2012 ging Professor Wekker met emeritaat. Kathy Davis is currently senior research fellow in the PARIS research program and the Department of Sociology at the VU University Amsterdam in the Netherlands. Born in the US, she has taught psychology, sociology, and gender studies at universities in Europe and the Netherlands. Since 1990, she has worked as associate professor in women’s studies and, later, as senior researcher at the Institute of History and Culture at Utrecht University. Philomena Essed is professor of Critical Race, Gender and Leadership Studies at Antioch University’s Graduate School of Leadership and Change and an affiliated researcher for Utrecht University’s Graduate Gender program. She holds a PhD from the University of Amsterdam and Honorary Doctorate degrees from the University of Pretoria (2011) and Umeå University (2015). 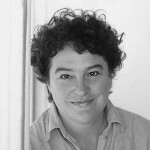 Marlene van Niekerk is Professor at the Department of Afrikaans and Dutch, Stellenbosch University. She was holder of the Africa Chair for the region commission Southern Africa at Utrecht University, 2007/2008. 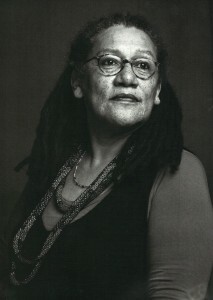 She is a South African author who is best known for her novels Triomf and Agaat, both translated into Dutch. She has also published poems and short stories.